Ram Nath Kovind is elected as India’s 14 th president with a massive support from various allies and other parties across the country, National Democratic Alliance nominee and former Bihar governor Ram Nath Kovind was way ahead of former Lok Sabha Speaker Meira Kumar , who was the nominee of opposition parties led by United Progressive Alliance. Kovind secured 7,02,644 votes against Meira Kumar’s 3,67,314 votes. In favour of Ram Nath Kovind Nearly 66% of votes were cast and 34% in favour of Meira KumarRam Nath Kovind got the votes of 522 Members of Parliament while Meira Kumar bagged the votes of 225 MPs in the presidential election. Nearly 4800 members of parliament and state assemblies cast votes to choose between Ram Nath Kovind and Meira Kumar. Approx 99% voting was recorded for electing India president. Coming from a modest family in Uttar Pradesh, Kovind has donned several roles in public life. Ram Nath Kovind was born in a village in rural Kanpur on October 1, 1945, the son of a farmer who subsequently sold off a piece of land to fund his son’s education in Kanpur, where Ram Nath Kovind enrolled for a law degree and prepare for the civil services examination picking up scholarships along the way. Ram Nath Kovind cleared the exam in his third attempt, but did not join the service that was not of his choice. Kovind has a Bcom and LLB by qualification from Kanpur University (Uttar Pradesh). He chose instead to practise as a lawyer, Uttar Pradesh and Kovind was married to Savita Kovind on 30th May, 1974. Ram Nath Kovind has a son, Prashant Kumar, who is married, and a daughter Swati. Ram Nath Kovind was Central Government Advocate in Delhi High Court from 1977 to 1979 and Central Government Standing Counsel in Supreme Court from 1980 to 1993. Ram Nath Kovind became Advocate-on-Record of the Supreme Court of India in 1978 and had practiced in Delhi High Court and Supreme Court for about 16 years till 1993. Ram Nath Kovind joined the BJP in 1991, and contested two Assembly polls in Uttar Pradesh, both of which he lost. Kovind was elected to Rajya Sabha in April 1994 from Uttar Pradesh and served for two consecutive terms for 12 years until March 2006. In Parliament, Kovind served as member of several important Parliamentary Committees such as: Parliamentary Committee on Welfare of Scheduled Castes/Tribes, Parliamentary Committee on Home Affairs, Parliamentary Committee on Petroleum and Natural Gas, Parliamentary Committee on Social Justice and Empowerment, Parliamentary Committee on Law and Justice, Chairman of Rajya Sabha House Committee. Kovind is a former President of the BJP Dalit Morcha between 1998-2002 and President of the All-India Koli Samaj. Ram Nath Kovind was appointed Governor of Bihar on 8 th August 2015 by the President of India , and Kovind managed to strike a good working relationship with Chief Minister Nitish Kumar, who reciprocated it by supporting him in the presidential polls despite calls for Opposition’s unity. Ram Nath Kovind has served as Member of Board of Management of Dr. B.R Ambedkar University, Lucknow and also as a Member of Board of Governors of Indian Institute of Management, Kolkata. Kovind also represented India in the United Nations and addressed United Nations General Assembly in October 2002. As a member of Parliament, Kovind visited Thailand, Nepal, Pakistan, Singapore, Germany, Switzerland, France, United Kingdom and USA on Study Tour. Ram Nath Kovind has been known as a crusader for the Rights and Cause of Weaker Sections of the Society specially Scheduled Castes/Scheduled Tribes/ OBC/Minority/Land Women from his student days.Kovind had joined the movement of SC/ST employees against the Central Government when in 1997 some orders were issued by the Centre which adversely affected the interests of employees of the Scheduled Castes/Tribes. 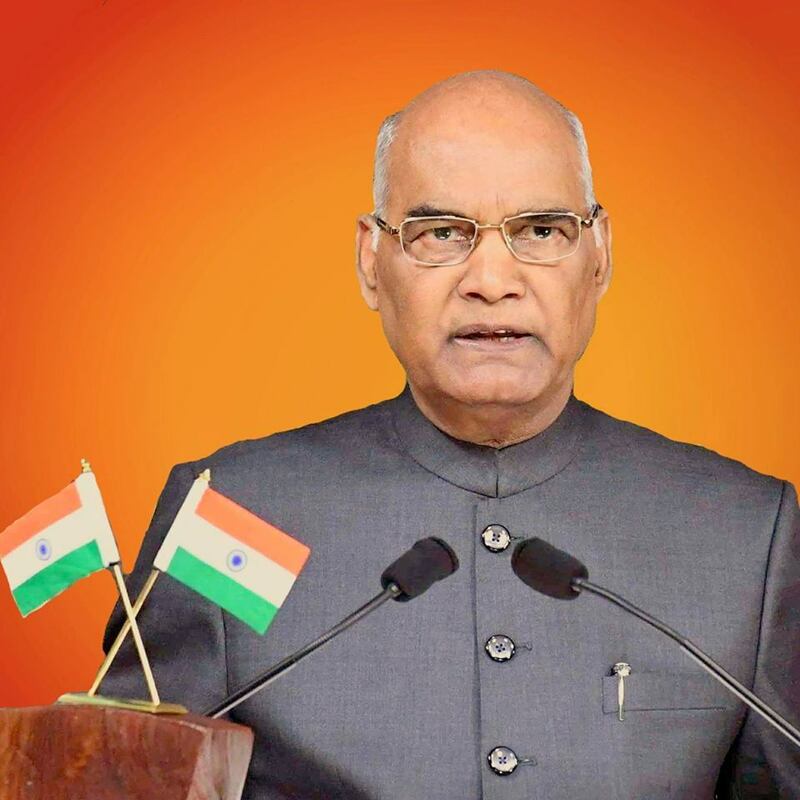 Kovind consequently succeeded in getting those Government orders declared null and void by the passage of three Amendments in the Constitution of India during the first NDA regime led by Atal Bihari Vajpayee. Ram Nath Kovind is also known as a pioneer in spreading education. During his parliamentary tenure of 12 years, Kovind emphasized on the development of basic infrastructure for education in rural areas by helping in the construction of school buildings in Uttar Pradesh and Uttrakhand under MPLAD scheme. As an advocate, Kovind took a lead in providing free legal aid to weaker sections of society, specially SC/ST women, needy and the poor under the aegis of Free Legal Aid Society in Delhi. Ram Nath Kovind is the low-profile Dalit leader, who has been extremely successful in public life.